Giorgio Chiellini criticised Napoli for celebrating too early following their last-gasp victory in Turin as Juventus claimed a seventh successive Serie A crown. There were wild scenes in Rome and Turin after reigning champions Juve sealed another Scudetto with a goalless draw against Roma on Sunday. Napoli had the momentum in the Serie A race after stunning Juve 1-0 on April 22, which sparked pandemonium back home in Naples as Maurizio Sarri's men closed within a point of the Bianconeri. However, Napoli stumbled – losing 3-0 at Fiorentina the following week after Juventus had rallied from 2-1 down to complete a remarkable 3-2 comeback against Inter. And veteran Italian defender Chiellini mocked Napoli as Juve clinched a fourth consecutive Serie A and Coppa Italia double. 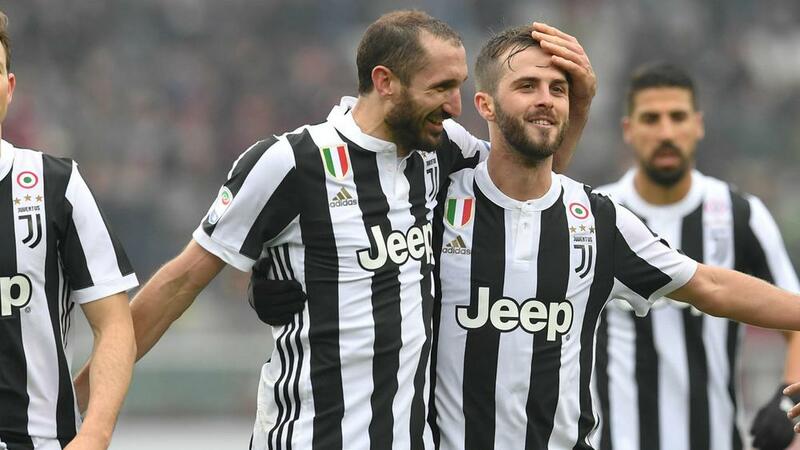 "We feared losing it in Milan, in the second half, but all those who criticised us were really just firing us up," Chiellini told Mediaset Premium. "They shouldn't try to hurt our pride. That's like a precious serum for us. "Too many people lacked respect, now we can get a few things off our chest. We are the best. "In life you need to show respect and they celebrated too early. And at the end of the day, we're always the ones celebrating. "Juventus lose finals because we play finals, whereas others choose to go out in the round of 16 or the quarters. Every now and then it's only right to make things clear." Chiellini added: "A wonderful and important season comes to a close, yet we don't get the credit we deserve for what we have achieved. "We are writing pages in the history books that can never be repeated. We must thank those who motivate us continually, as every year we want to keep winning. "We might be hard to kill, ugly, old, whatever, but we still always win. We've achieved something incredible."